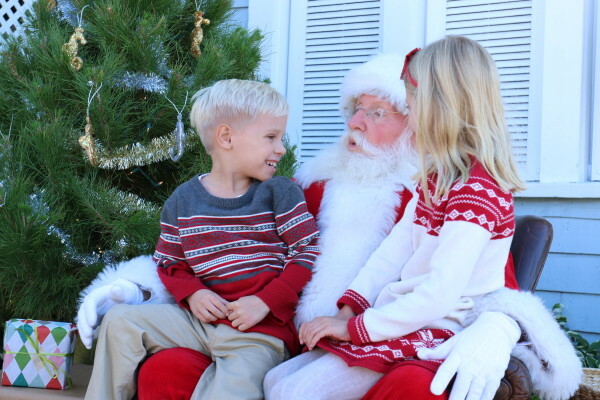 ​Bryson, 5, ​and Brenna Traudt, 7, of Hermosa Beach have their photos taken and share their Christmas wishes with Santa at the Gum Tree Shop and Cafe in downtown Hermosa Beach Sunday afternoon. Camille Cannon, 12 months, and mom Victoria. ​​Kids lined up Pier Avenue to wait their turn. 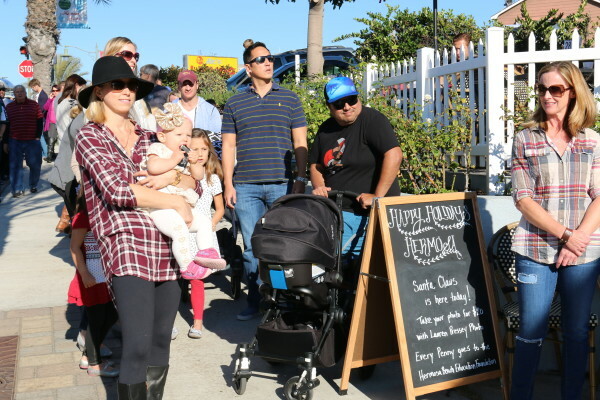 Gum Tree’s 7th Annual Photos with Santa raised over $8,000 for the Hermosa Beach Education Foundation.